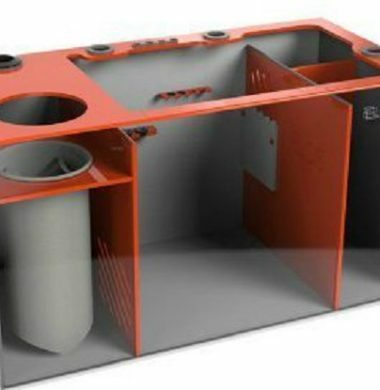 The Elos BashSea SS19 Sump is the result of the partnership between BashSea and Elos, and is designed to be used in conjunction with Elos’ new Diamond Line range of Aquariums. PLEASE NOTE: 14-21 WORKING DAY DELIVERY. PLEASE CONTACT US FOR AVAILABILITY. 10% DISCOUNT APPLICABLE IF PURCHASED ALONGSIDE AN ELOS AQUARIUM AND CABINET. The Elos BashSea SS30 Sump is the result of the partnership between BashSea and Elos, and is designed to be used in conjunction with Elos’ new Diamond Line range of Aquariums. The Elos BashSea SS36 Sump is the result of the partnership between BashSea and Elos, and is designed to be used in conjunction with Elos’ new Diamond Line range of Aquariums. The Elos BashSea SS36 XL Sump is the result of the partnership between BashSea and Elos, and is designed to be used in conjunction with Elos’ new Diamond Line range of Aquariums.